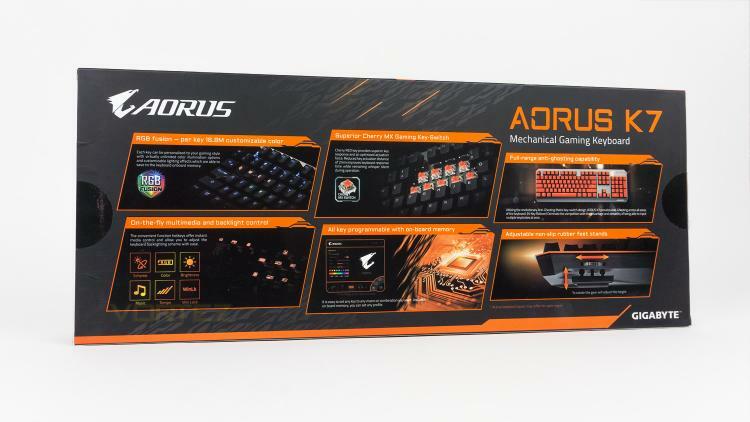 The AORUS K7 comes in a black box that features a large image of the K7 as well as the AORUS logo and some key details. Round the back of the box, there are segments that display some of the highlight features of the K7. 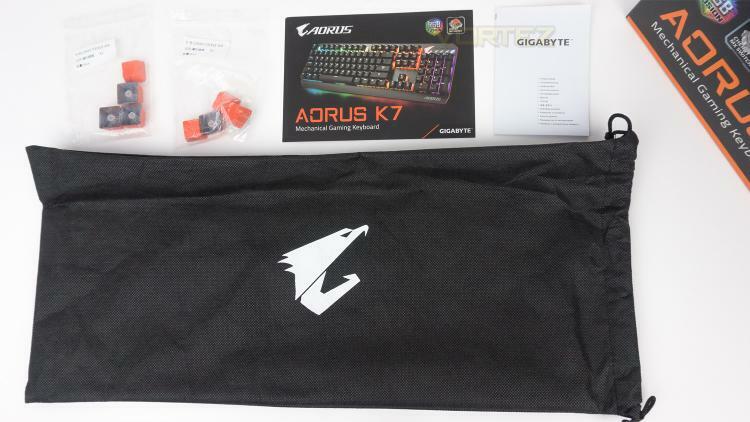 The AORUS K7 comes included with 8 additional keycaps as well as a metal sticker, keycap puller, multimedia guide, quick guide and keyboard bag. 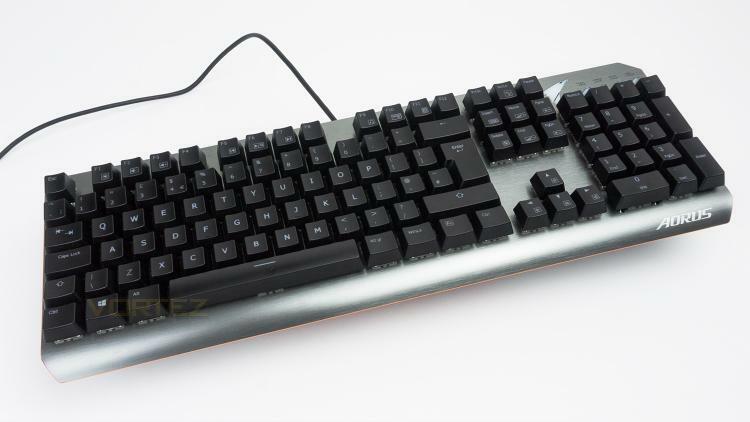 Our sample has previously been used and is missing the keycap puller and metal sticker. 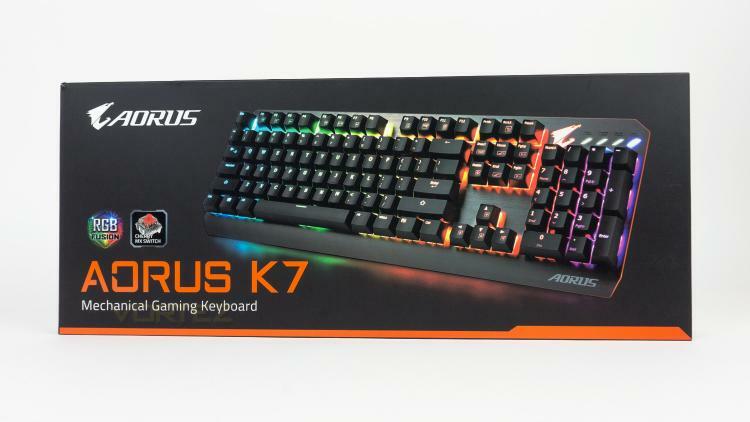 The AORUS K7 features a brushed effect on the metal facia and a tasteful copper trim which adds a bit of premium flare to the design.